Reduced price - available whilst stocks last! If the shade is not available in the pulldown list this means that the shade is no longer available - sorry. 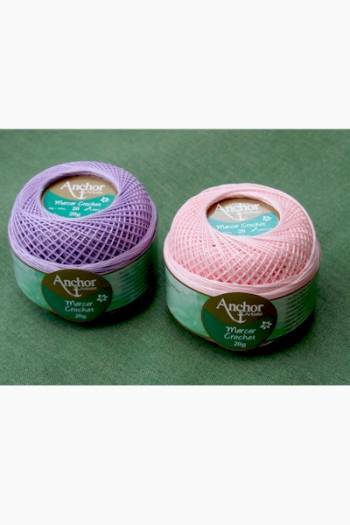 This size 20 100% cotton cotton thread by Coats offers excellent qualities for tatting or crochet. It is made from Egyptian cotton fibers, double twisted and double mercerised and offers excellent uniformity and brightness. The fast dyed colours are machine washable. 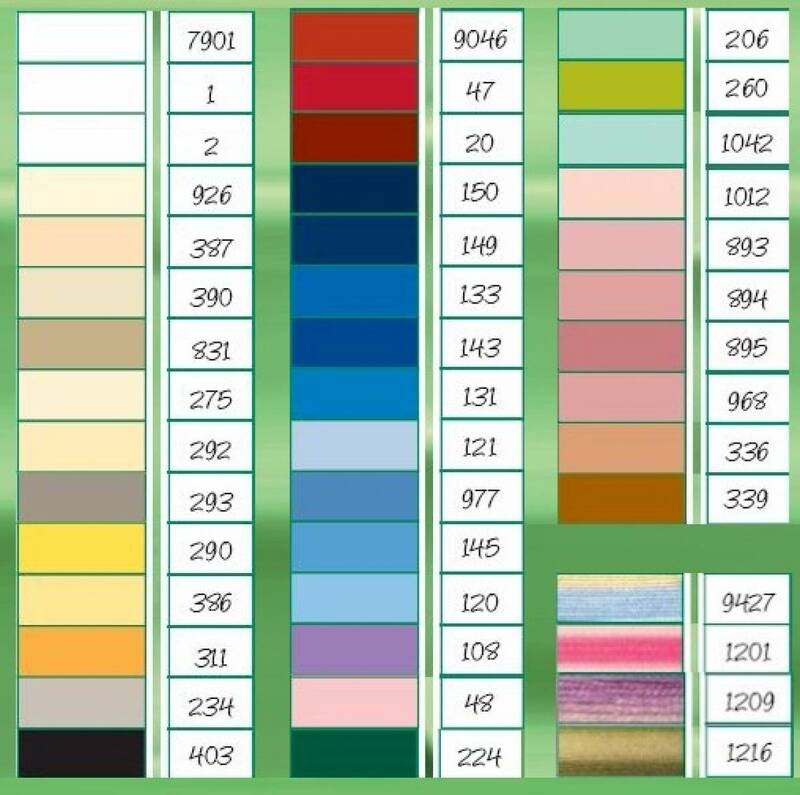 In size 20, we offer a range of almost 40 solid and 4 variegated shades that are available in 20 gram balls (click on the lower image to see the full size shade card).. 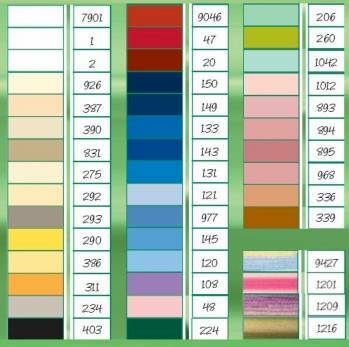 Please note - the colours shown on the shade card are approximate only and should be used only as a guide. We have noted that shade 9046 (which is Christmas Red) is particularly unrepresentative.